Another great turn out for the party last week. Thanks to each one who joined and linked back to the party. With such huge turnouts I am having to randomly go through and pick out a few to feature. Let's see a smidgen of what you girls and guys turned out last week. Another lucky blogger with my dream tub in her newly transformed bathroom. Check this out at Style Burb. 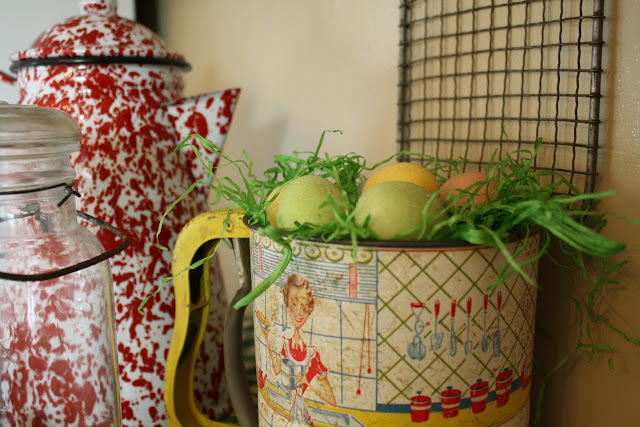 I love Debra's laundry room with all her special vintage touches. Look how cute her cat is. I try not to feature the same person too quickly, but I just had to share this bathroom over at Sweet Chaos. Gorgeous! 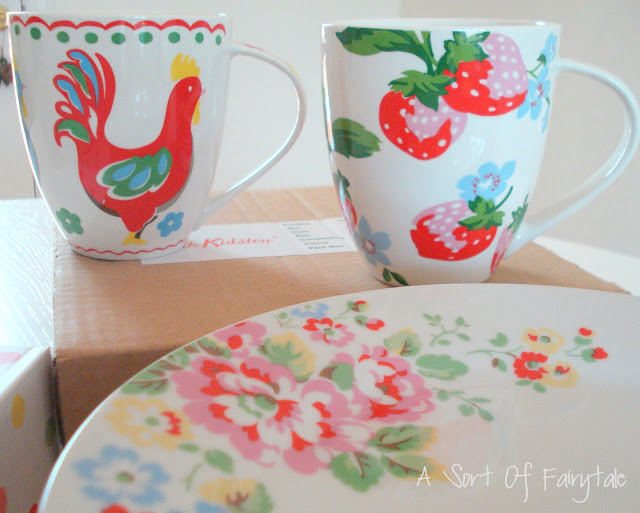 Stacey shared these wonderful Cath Kidson dishes that she ordered. Aren't they the cutest? There is a tutorial for making these wonderful eyeglass cases at Home Road. Ann at Stylish Once Again copied my little brown pillow on my chair in my master bedroom. This looks just like mine just a different color. So cute. Seems to be the week for bathroom transformations. Meredith and Stephen from Welcome to Heardmont are DIYers that are renovating their home and this bathroom turned out great. There is some really cute Easter decor inspiration at Sunny Simple Life since Easter is just around the corner. You can check these out and so many more great ideas at last week's party. If you were featured this week you can grab a featured button from my side bar if you like. BTW, the broken piggy is a birdhouse. A couple of you got it right. I don't know what bird in its right mind is going to fly into a pig's mouth, but maybe they will. Anyway Piggy is staying inside here. He is too fragile anyway! Have a super day and be sure and come back tonight for party 9. You have a few days left to be part of a GIVEAWAY HERE. Kim I love these features...so many great bloggers out here. So many great ideas. I'm checking out all those blogs today. Seeing which projects I can do here. Great looking projects, thanks for posting!! Debra's laundry room is too cute and pretty. It makes mine look like a coin laundry...it's that bad. Hi Kim, thank you so much for featuring my bathroom today. I am completely thrilled! I have to say, it really is a dream tub; I'm very lucky! I realize, though, I better get busy and find some vintage prints for that blank wall that keeps staring at me! Thanks again. I'm off to find some of those bathroom transformations - thanks for highlighting them! Wow is right! They all look wonderful. 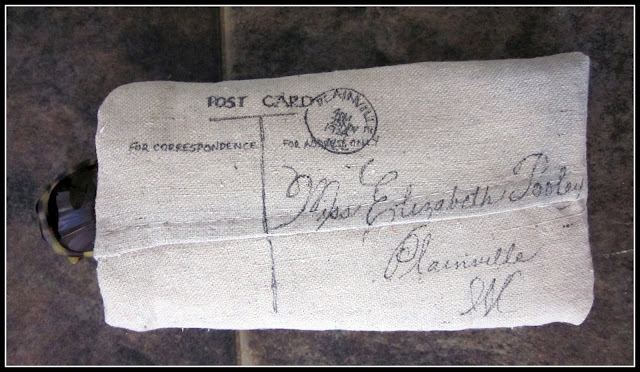 Thanks so much for featuring my eyeglass case! I'm linking back! I am saving for a copper slipper tub. I think ten more years and I can afford it! LOL! All great projects to share! Loving that bathroom and Easter decor! 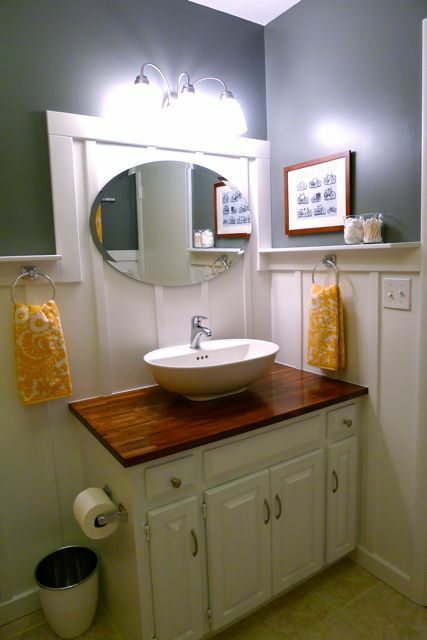 All of these bathroom re-dos are absolutely FABULOUS! Kim, I am always amazed at the creativity and talent that I see from bloggers. Thanks for sharing this. I love all the bathrooms! Great post. Great features, Kim. Love the bathrooms and the Cath Kidson dishes are so cute. I saw a store with a lot of her product when we were traveling. I love all the Great bathrooms !!! Sweet lady I hope you are having a nice Day in the Sun!!! I do miss your lovely comments on my Tablescapes. Gorgeous choices, that big bathroom took my breath away! Imagine having such a great space to work with... and your comment about birds in their right minds cracked me up! Thanks for featuring my pillow! I am making another one for my daughter. Lots of creativity here! Always inspiring! Oh My..Piggy is a bird house?? And some bloggers guessed correctly? That is a double wow. Such great stuff. That eyeglass case is about my speed, so I'm going to try it. Thanks so much for the feature, Kim! A bird house! I would have never guess that. I think piggy will be happier inside your house. He is really a cutie! Great table AND I'm so envious of all your sunshine!!! Thank you for hosting. I always find new-to-me bloggers here.